A friend of mine went to Washington, back in the 80s or 90s sometime, to be part of a protest march. She got there early in the morning – before anything was going on – and had some time to kill. 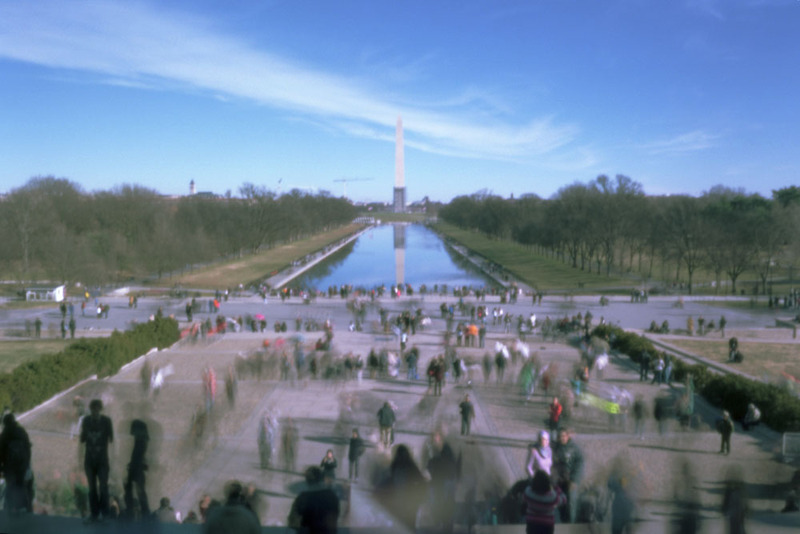 So she and her friend wandered the Mall until they ended up at the Lincoln Memorial. No one was around, so they climbed up and sat in Abe’s lap. There wasn’t anyone sitting in his lap the day I went there, last December. But even if I can’t climb the statue, I always try to visit this spot whenever I’m near enough. It’s an inspiring national shrine. A different view from the same day can be found here. 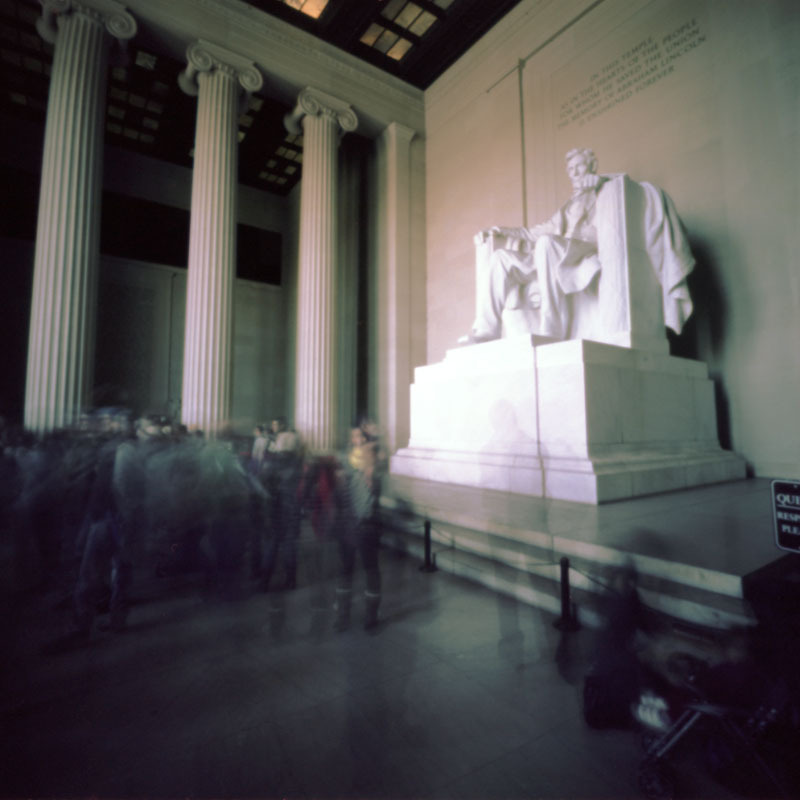 These photos were made using a Zero 2000 camera and an AGFA Clack converted to pinhole.